Arithmetic, Probability, Fractions, Measurements - maths is one of those subjects that continue to throw a lot of us in a muddle long after our school days. Yet we still need to use it every day, from splitting the bill in a restaurant, to counting out change at a till or working out exchange rates. 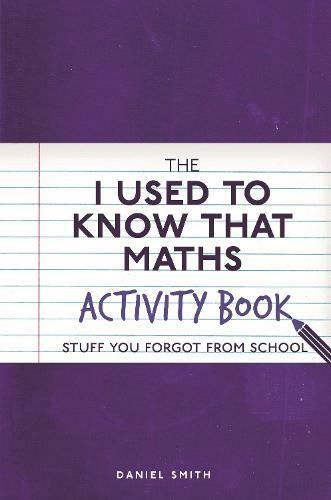 The I Used to Know That: Maths Activity Book is a guide designed to take the fear out of maths. Guiding you through the all basics and beyond, this book is full of clear and simple explanations with enjoyable exercises to help square your knowledge. This is the ideal workbook for those who want to refresh what they learned at school and feel more confident with maths, or for people who just love the subject and enjoy a challenge.